I spent some time this weekend recording and mixing another of my short stories as an Audio Story. This time up I tackled my short 'Red', inspired by the original Red Riding Hood fairy tale. You can find my original text here. 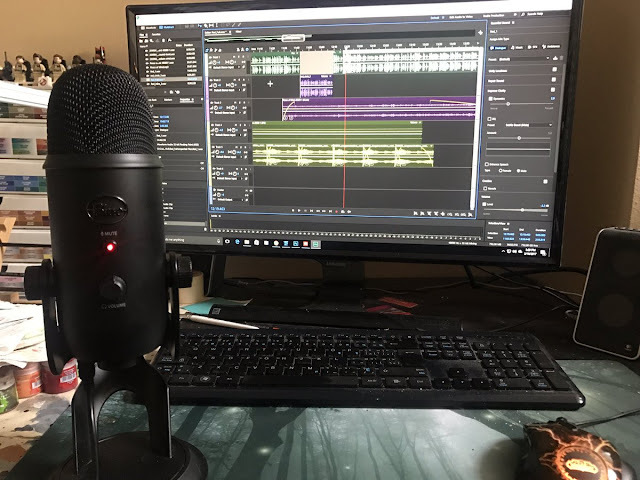 I'm still getting the hang of editing audio again, and I'm not convinced I've found the right settings for recording my voice yet, but I'm learning with each attempt! The hope is that it also inspires me to actually write more short stories, and then record them, so hopefully it won't always be me revisiting stories I've already written. Also completely open to any tips and advice on how to record or mix better audio. I'm going to try and do one of these a month. Let's see how that goes!